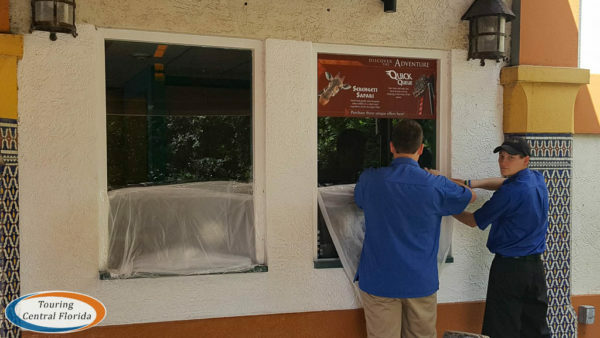 After being closed four days due to Hurricane Irma, Busch Gardens Tampa Bay reopened this morning to guests following two days of cleanup at the park. The last day the park operated was this past Friday, September 8, when many ambassadors spent the day preparing the park for the incoming storm. 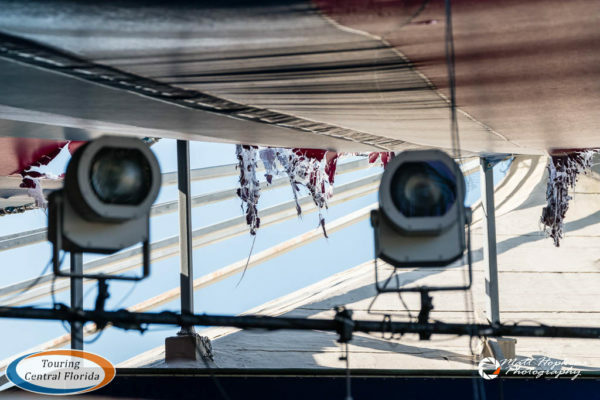 You can see those preparations in our exclusive article. 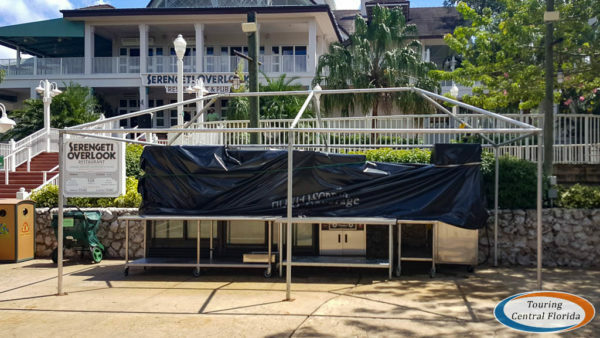 The park was closed on Saturday, September 9 to allow staff to continue to prepare the park for Hurricane Irma. 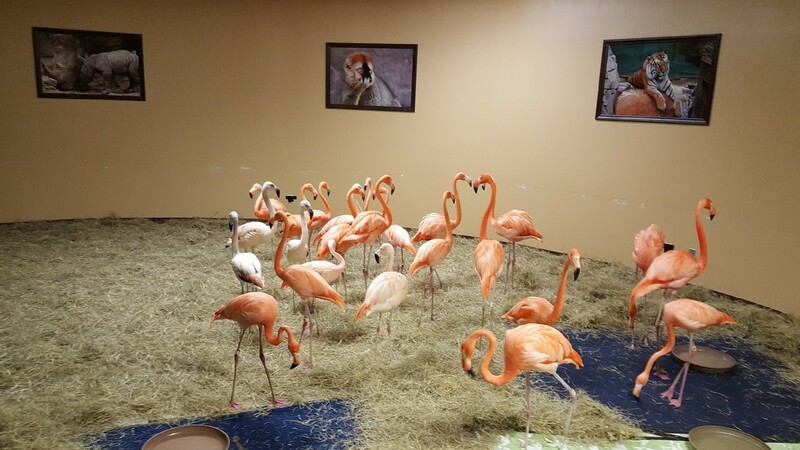 On Sunday, the park released an image and short video clip showing how they sheltered some of the flamingos. 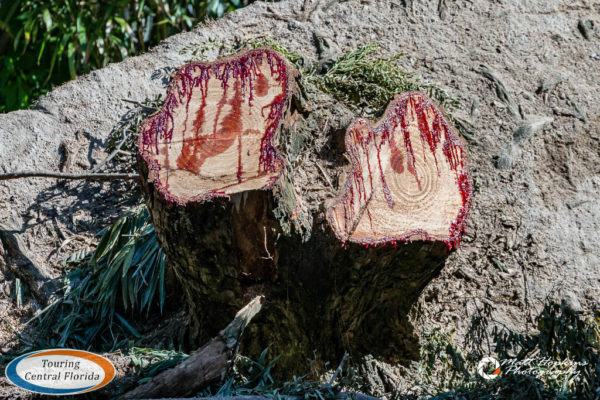 By Monday morning, the most severe weather had passed north of the Tampa Bay area, and the first damage assessments at the park were able to be done. 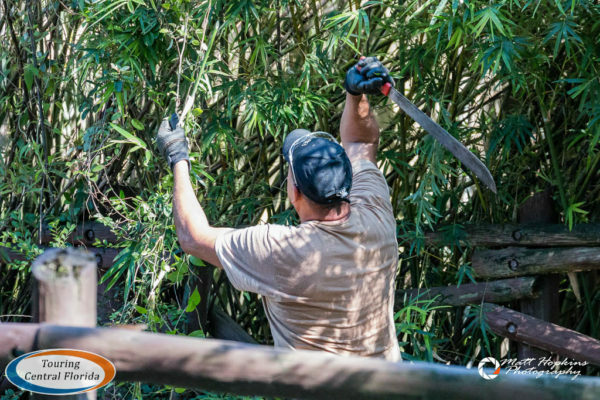 From outside the park, tree limbs could be seen down along the perimeter fences, along with some bamboo shoots near the Nairobi Gate. 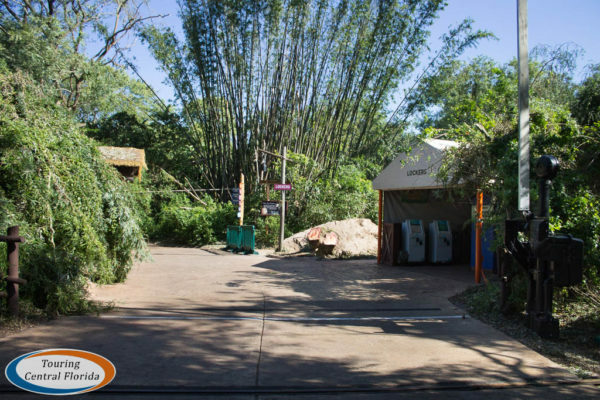 Otherwise, the park was nearly deserted as only a small team rode out the storm. 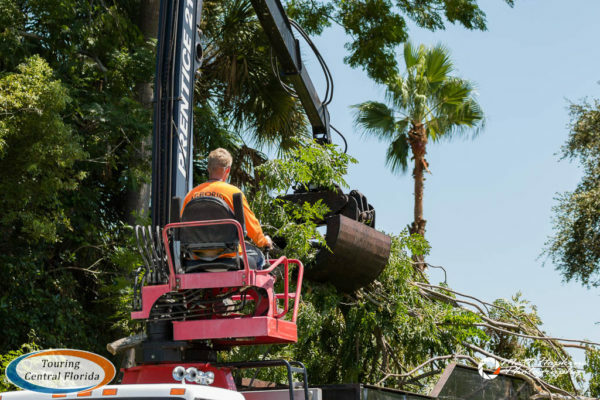 The park remained closed Tuesday as a team of ambassadors was brought in to undertake the massive cleanup effort. 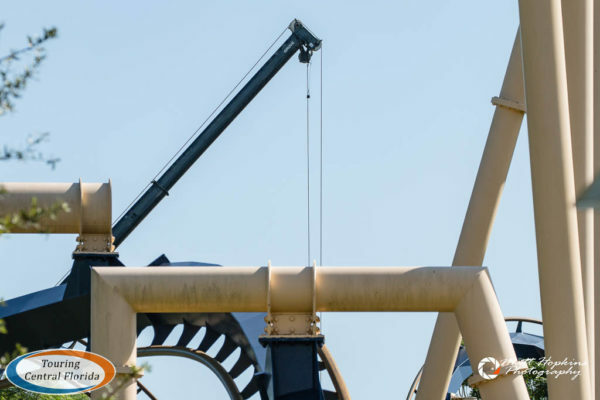 The park opened as scheduled at 10 a.m. Wednesday morning, with a majority of the clean up already completed. Across much of the park, it really didn’t look like a hurricane had just passed through. 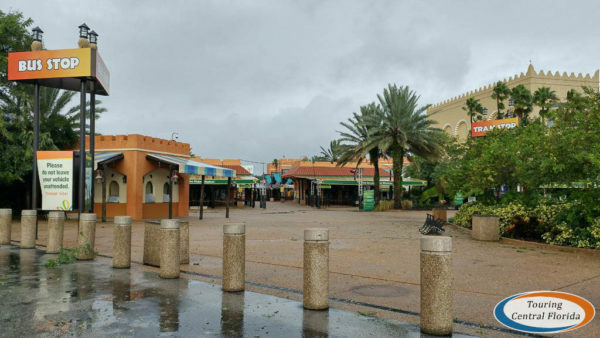 Most attractions were open by noon, with Montu reportedly reopening late in the day. 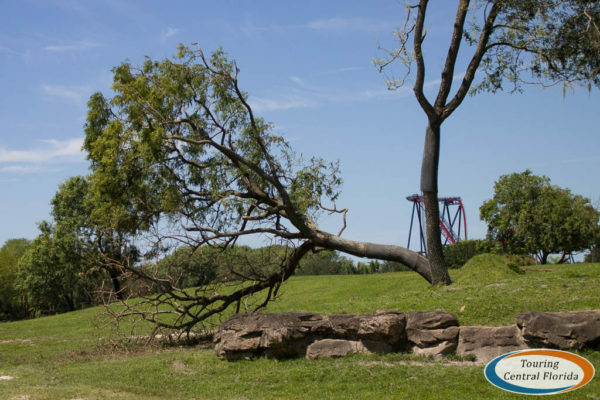 Crews were busy into the early afternoon removing several downed trees along Montu’s course and nearby on the Serengeti Plain. A crane and other heavy equipment aided crews in the cleanup there. 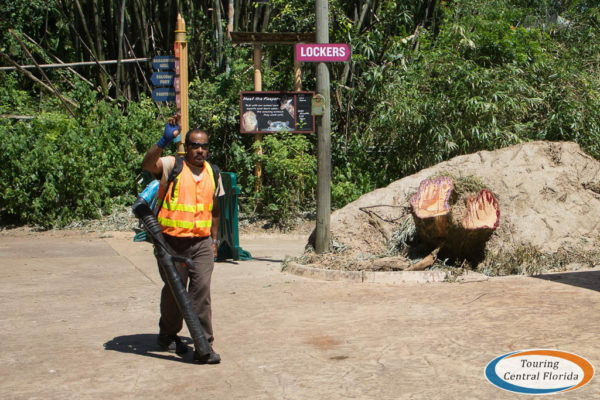 The Edge of Africa also remained closed Wednesday as crews continued to clean up the area, which had several very large trees come down across the pathways. One of those trees came crashing down in the main entrance to Edge of Africa, narrowly missing the newly installed lockers. 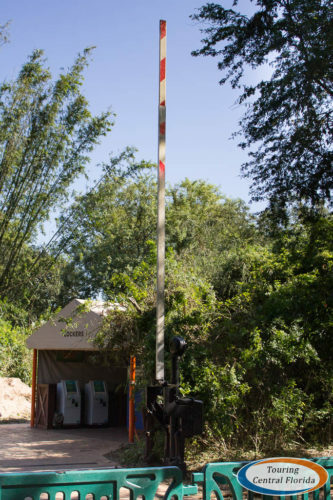 The crossing guard arm for the Serengeti Express was not so lucky; crews had already installed a temporary arm by the time the park opened. 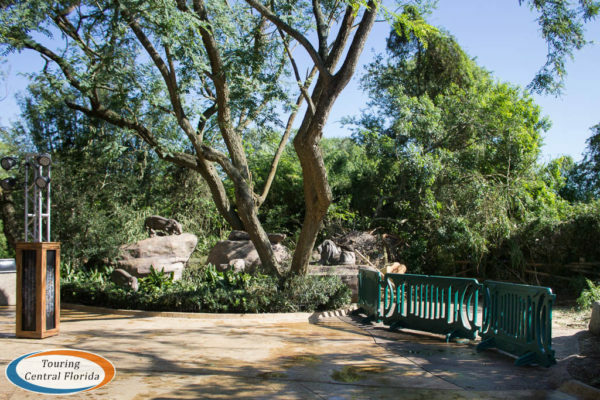 Just outside the Edge of Africa in the Cheetah Hunt courtyard, what was left of another large tree could also be seen. 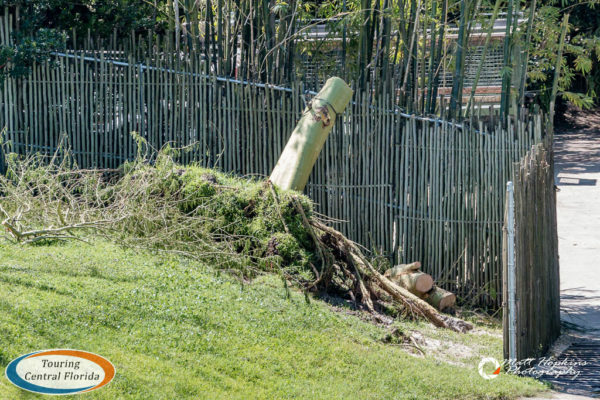 Just like the fallen tree nearby, all that remained was the root ball and stump, which will be removed in coming days. 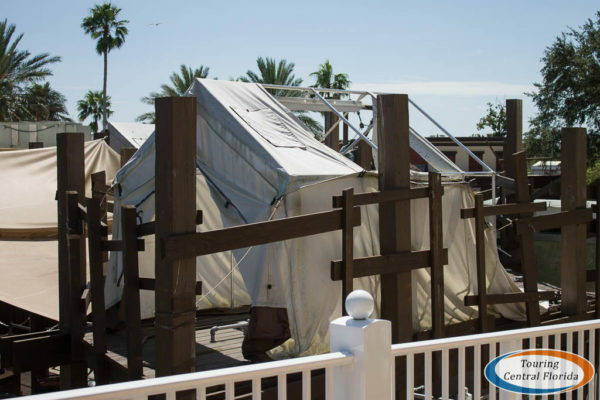 At the front of the park, a section of the canvas awning over Marrakesh Theater was ripped away by Hurricane Irma. 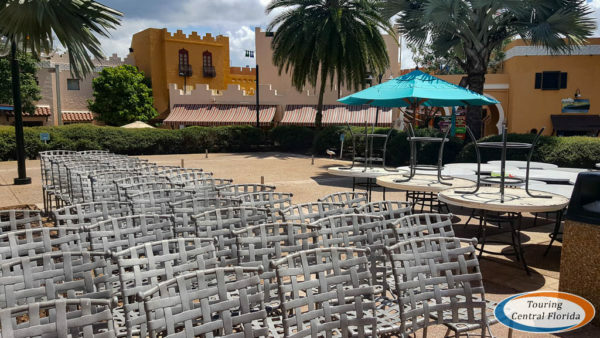 The theater has not been in regular guest use this season, being behind walls and used only for some Day Camp activities. 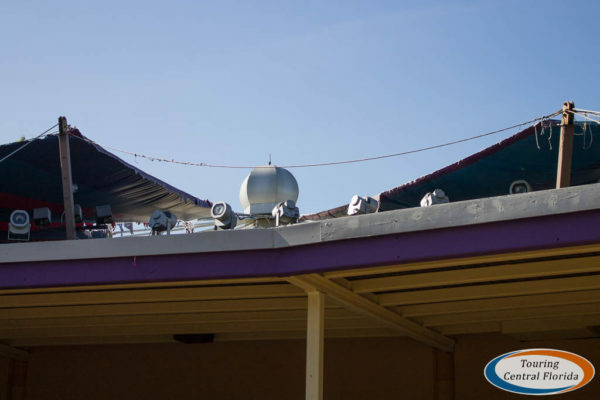 Elsewhere in the park, there were some smaller signs of storm damage still visible to guests. 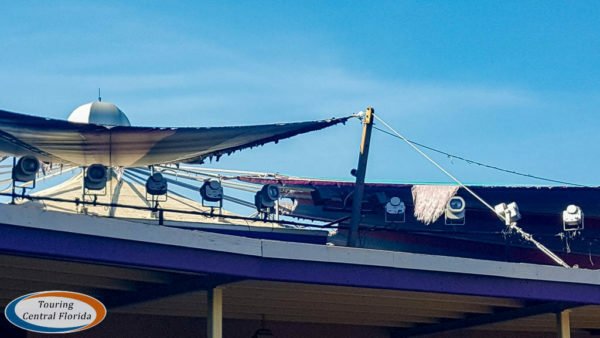 At Cobra’s Curse, there was some damage to the tents above the outdoor queue. Banners and signs in a few spots were also seen still knocked down. 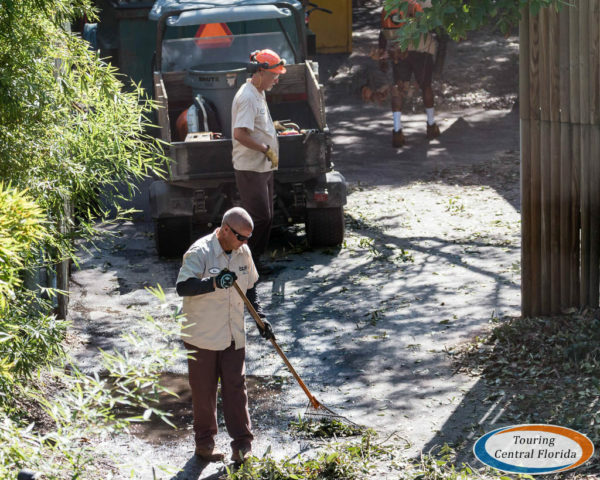 Crews continued work to finish the cleanup on Wednesday, cutting and picking up brush. 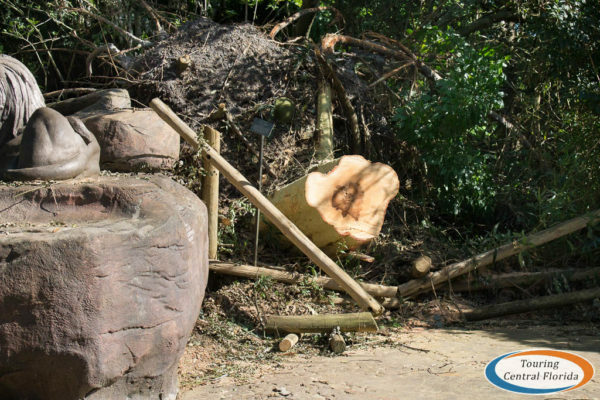 While most fallen trees were removed down to the stump across the park, a few were still visible on the Serengeti Plain. 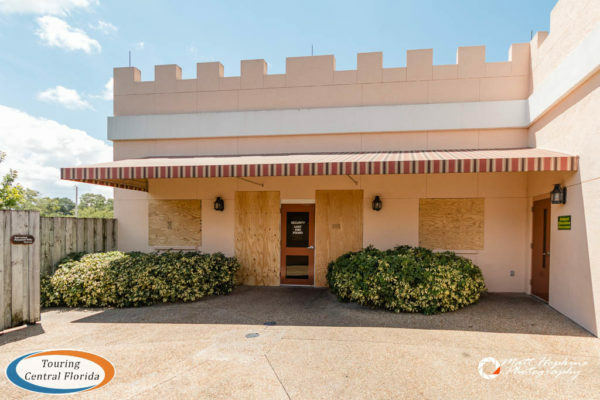 Of course, some coaster enthusiasts have been wondering if Gwazi weathered Hurricane Irma. 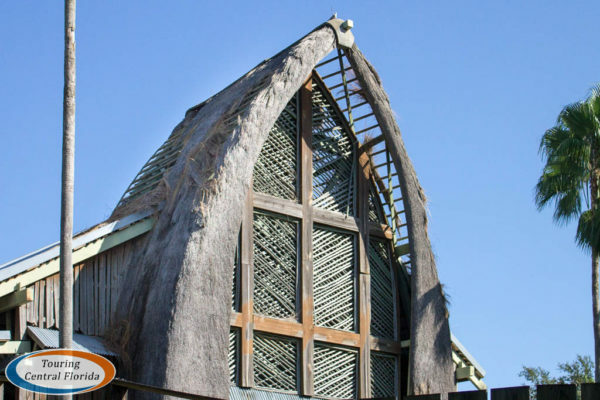 It looked to be completely unharmed from the ground and from the Skyride. 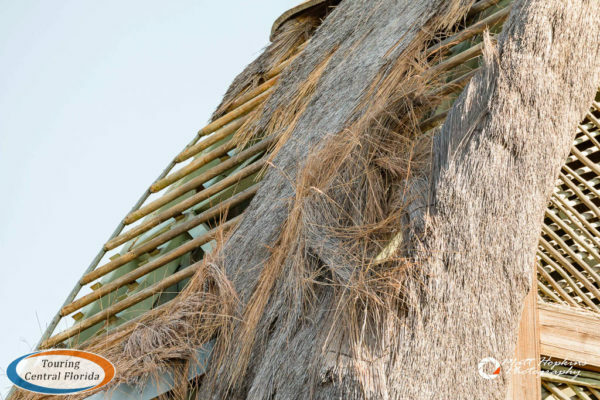 The station roof may have lost a little more thatching, but most of the damage there was visible before the hurricane. 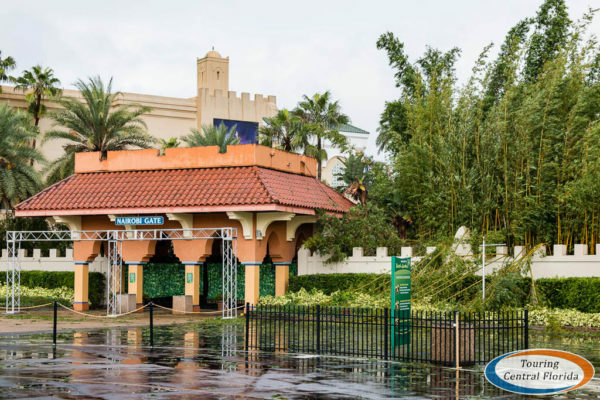 Through Sunday, both Busch Gardens and SeaWorld in Orlando are offering Buy One, Get One Free single-day admission tickets for Florida residents as a way to help families take a break and reconnect. 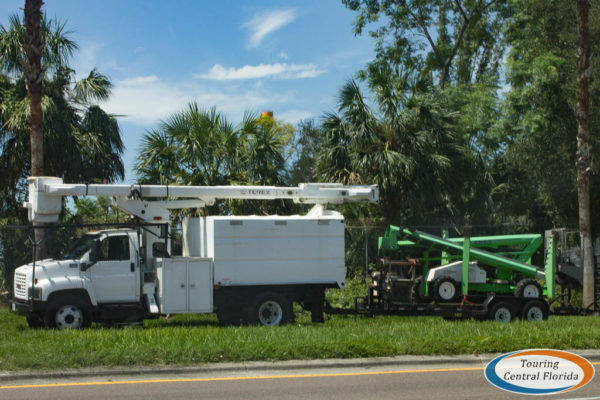 You can find all of the details for the “Florida Neighbor Offer” in our recent article. 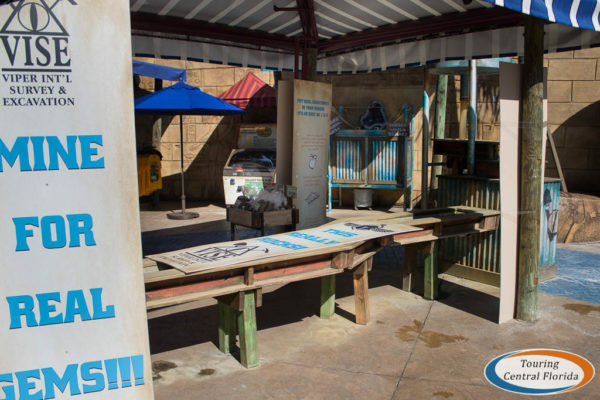 Current Annual Pass Members at Busch Gardens Tampa can also bring a friend for free through Sunday. Log in to your Pass Member account to redeem the offer. I believe what you are doing for the Florida families is great! I live in Pennsylvania, and have prayed everyday for all the people. But one thing? How do you think people are even going to get let alone come up with the money for the buy one, get one free! They still have to pay for each individual in their family don’t they? Maybe it will be a great day but where is the money going to come from for them. No banks or schools are opened. What if they lost everything, home and all. Where’s the money then? Did you people even think of that? Why don’t you guys go out and help the people who have lost everything instead of wording about opening your gates to gain money. The animals will always be there. These poor people’s homes are gone!! They have nothing to go back to! Why don’t you think of them instead of yourselves and the animals. 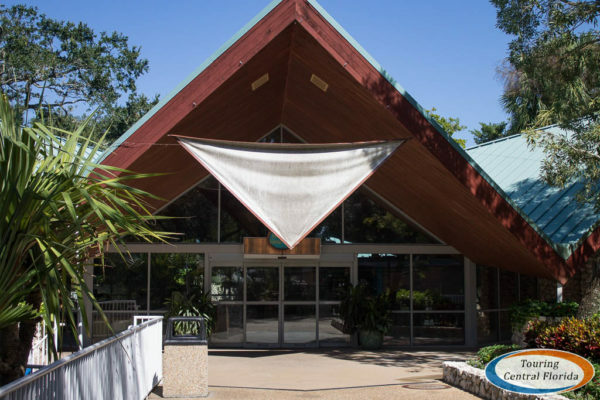 I can’t speak on behalf of the park, but while most of the schools are closed in our area (Tampa), most other businesses (including banks) reopened by mid-week. What you see on the news is the areas most impacted by the storm. 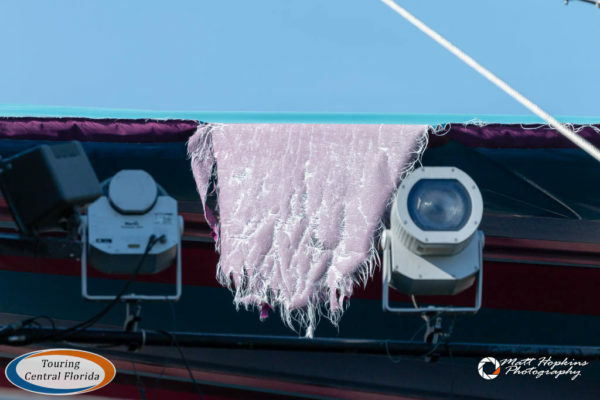 There are millions more Floridians (and thousands of tourists visiting) who had little impact from the storm. 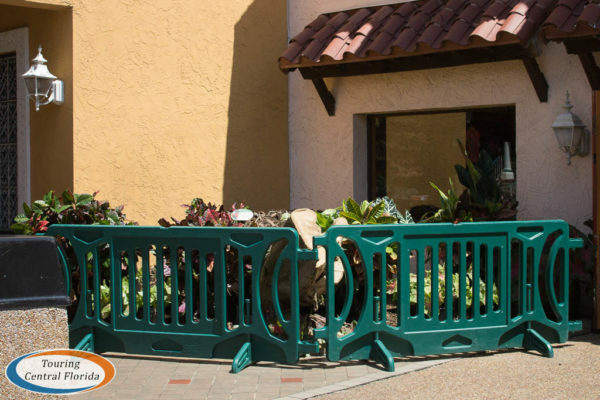 While none of us are forgetting about those less fortunate (the parks have contributed to various causes, as have we at Touring Central Florida), the reality is there are thousands of employees who depend on the income from their jobs at the parks who would also be affected negatively if they didn’t open their gates.